More than a year ago, the Evil One commanded his minions for "cleaning up our home territory in the Northwest, which has been run roughshod over by a team of also-rans and nobodies such as Triumvirate and Mordus Angels". Since the CFC is an unstoppable war machine winning every time according to their propaganda site, Mordus Angels were exterminated last March. Considering that "Taking out the Trash" campaign ended with complete success, it's strange that 8 months ago they had to be hell-camped again. Goons were even live-streaming sitting on a station doing nothing. According to military experts doing nothing on a station destroys enemy alliances. 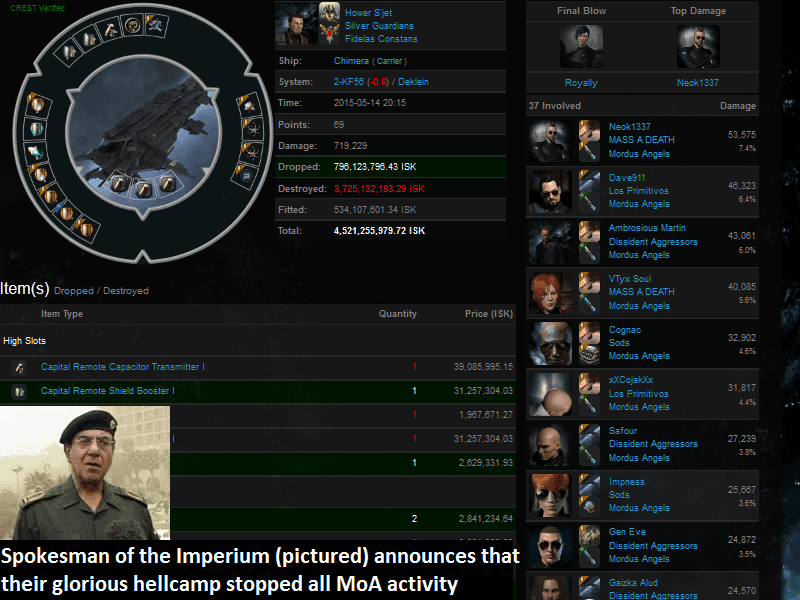 Let's see how much CFC were slain by Mordus Angels, especially looking for these two destructive hellcamps: I don't blame you if you couldn't find the hellcamps on the chart without help. So much for the value of sitting on an unconquerable station. Also, the chart is totally showing a near failcascade of MoA. PS: I've seen (and ganked) dozens of badly fit mining ships before, but this one totally not killed by the twice-destroyed MoA managed to surprise me. No, you don't need to check its alliance tag, you already know it. heh... nice. 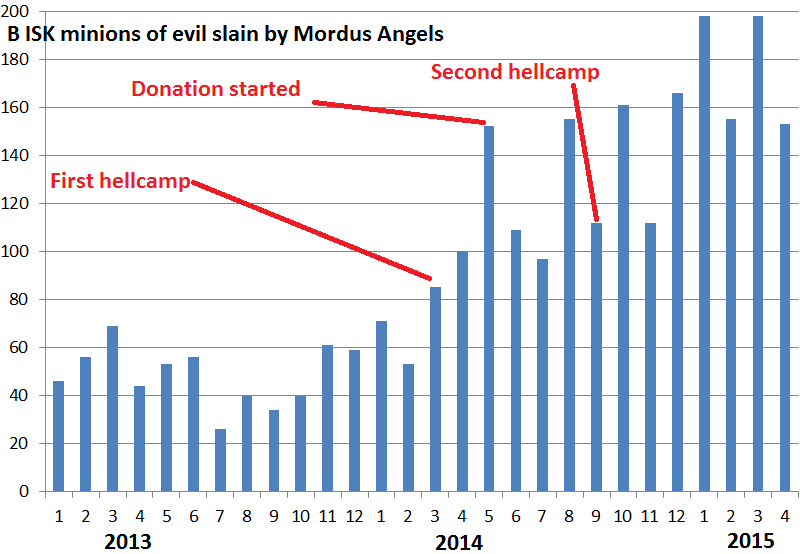 Looks like the Hellcamps only inspire more activity - plus the donations. As you produce such high quality, scientific graphs, please could you produce two showing the main interesting factors of the hellcamp. 2) location of MOA in the days before, during and after the hellcamp. @Zaxin: these would be quite uninteresting graphs. Why would anyone care about these instead of their performance? @Zaxin - Aside from the performance point that Gevlon made, you would need to show performance not just the days before but months to years before. The reason is simple: people and groups have play patterns. It would be simple for Goons to analyze an opponents play patterns and pick the weakest period to perform a "hellcamp". Be interesting to see what the objective performance of your activity has been... one would expect that if your assertions are correct there would be a marked downward trend in both fleet participation and membership. > these would be quite uninteresting graphs. Why would anyone care about these instead of their performance? They would be interesting because the impact of a hellcamp is usually localised... the performance of a hellcamp can be measured by how many people are engaged in the system which is being camped, and whether or not they just give up on it. The camping of 5zx is funny. People doing missions are logging off. 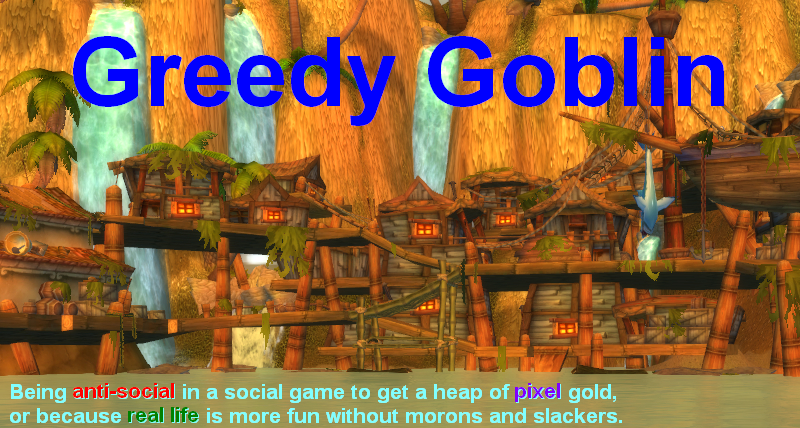 While the pvp people just operate like business as usual. Best joke is that this camp is done by one person using isbox. It appears that the CFC have no way of protecting their slaves.